Still need to get your Christmas cards? Do you still want to capture some memories before the year ends? 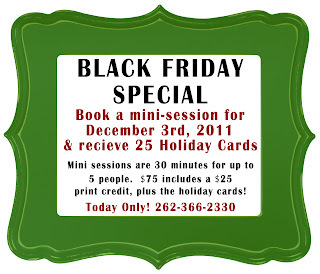 Check out today's Black Friday Deal! Call now to book your session! Bookings are limited and the deal ends at midnight tonight!